Finding the appropriate supplies per your state's requirements can turn into a real task. Let us make the process easy for you! Simply select the type of stamp that most appeals to you and your needs, enter in your notary identification information and place your order. If there are any discrepancies in your order, we will take care of it! All of our Notary Supplies are guaranteed to meet state standards. Our PSI Pre-Inked Notary Stamps are perfect for those notaries who are looking for an environmentally safe alternative. 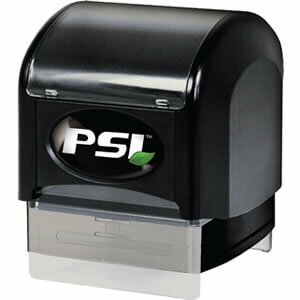 With our PSI stamps, skip the hassle of replacement ink pads! Pre-Inked stamps can be re-inked throughout their use for thousands of crisp, clear and detailed impressions! For an on-the-go notary public, time and organization is a priority. Save time AND space with these eco-friendly and sleek Slim Stamps that can be re-inked and used for thousands of impressions! Do you like the size and feel of a slim stamp? 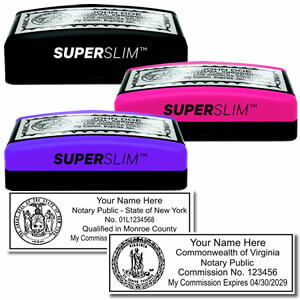 You will love our new line of Super Slim Notary Stamps. 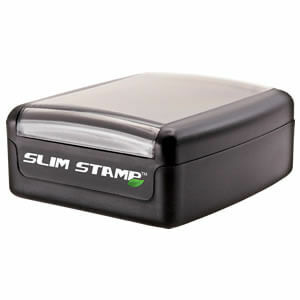 Even slimmer than the original Slim Stamps, the Super Slim Notary stamp is the smallest and most portable notary stamp we carry. Choose from a variety of colors and never be inconvenienced by your notary supplies again. 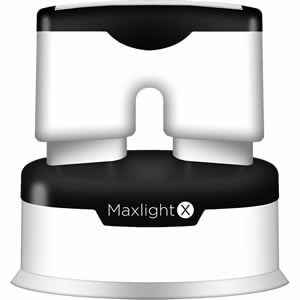 The MaxLight X Series' new modern design allows it to have a larger ink-load than other pre-inked notary stamps. Good for upwards of 50,000 gorgeous impressions, the MaxLight X Series' dual springs are sure to get the job done for you. 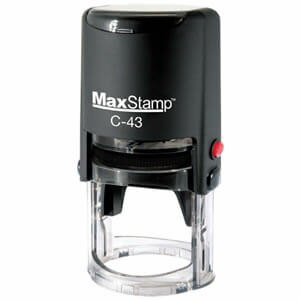 Self Inking Notary Stamps are a great product for cost-conscious and fast-paced notaries. Without the use of an additional traditional ink pad, simply press the stamp to paper to receive a stunning impression. With just a switch of the stamp's built-in inner ink pad, receive unblemished impressions in almost any color of your choice. Our Traditional Notary Stamps are handmade in the United States with reliable rubber dies and strong wooden handles. 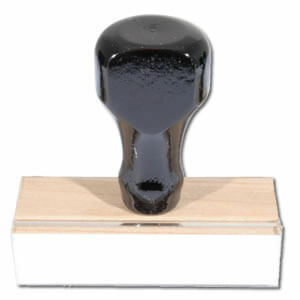 Our most basic notary stamp, these traditional hand stamps require the use of an additional ink pad. Ordering products online can not only be confusing but also sometimes risky. Let us take all of the confusion and risk out of this process for you by using NotarySuppliesOnline.com for all of your notary needs! Guaranteed to meet ALL state specifications, our products are made with cutting-edge technology and extraordinary workmanship by our experienced staff. We are eager to get you products that you'll love - at a price you'll love!